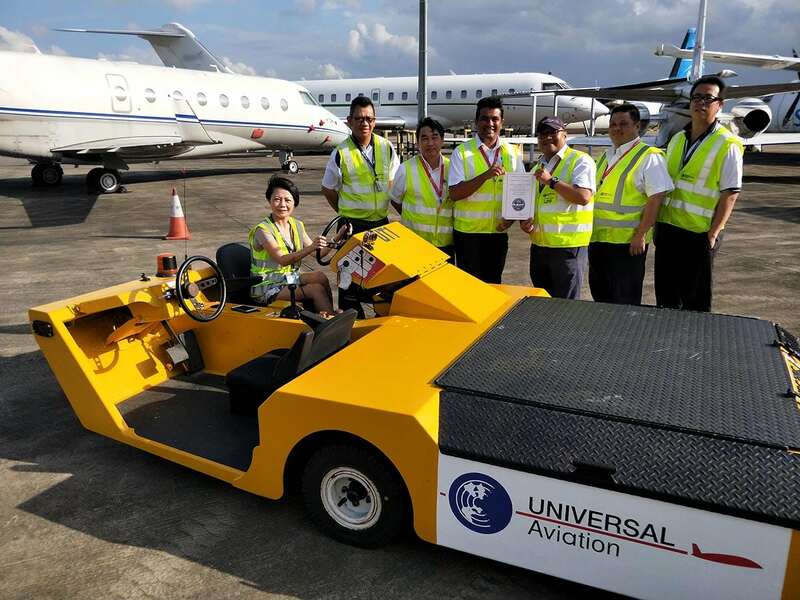 Universal Aviation Singapore earns IS-BAH accreditation | Universal Weather and Aviation, Inc.
(January 30, 2018) — Singapore – Universal Aviation Singapore, based at Seletar Airport (WSSL) has earned accreditation under the International Standard for Business Aircraft Handling (IS-BAH) program. Universal Aviation Singapore joins Universal Aviation London Stansted (EGSS) as the second Universal Aviation location to become an IS-BAH accredited location. Universal Aviation, the ground support division of Universal Weather and Aviation, Inc., has more than 40 locations in 20 countries.